High-Density Polyethylene or HDPE is a plastic polymer with flexible properties which make it useful for a wide range of applications. High-density polyethylene, as the name suggests, has a higher specific density than low-density polyethylene, though very marginal. The difference in the physical properties of HDPE is the lack of branching, which means it is light with a high tensile strength. As there is no branching the structure is more closely packed, making HDPE a linear polymer. The branching can be controlled and reduced by using specific catalysts during production. HDPE has got many advantages which makes it important in the manufacturing of different products. HDPE has a comparatively high density compared to other polymers, with a specific gravity of 0.95. HDPE is relatively hard and resistant to impact and can be subjected to temperatures of up to 120oC without being affected. HDPE is not autoclavable, but HDPE is recognizable by its opaque or translucent appearance. These strong & solid properties makes it perfect for manufacturing heavy duty containers and HDPE is primarily used for milk containers, as well as Tupperware, shampoo bottles, bleach bottles and motor oil bottles. Also, HDPE does not absorb liquid readily, making it good barrier material for liquid containers. Almost a third (about eight million tons) of HDPE produced worldwide is used for these types of containers. Furthermore HDPE is an extremely resistant material to many chemicals, hence it widespread use in healthcare and laboratory environments. It is resistant to many acids, alcohols, aldehydes, esters, bases and oils. 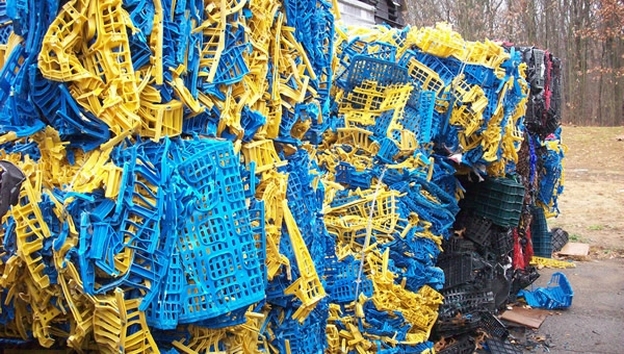 HDPE scrap is accepted at most recycling centres in the world, as it is one of the easiest plastic polymers to recycle. Most recycling companies will collect HDPE products and take these to large facilities to be processed. First, the plastic is sorted and cleaned, to remove any unwanted debris. The plastic then needs to be homogenised, so that only HDPE scrap will be processed. If there are other plastic polymers in the batch, this can ruin the recycled end-product. HDPE has a specific density of 0.93 to 0.97 g/cm3. This is much lower than that of PET which is 1.43-1.45 g/cm3, meaning that these plastic polymers can be separated by using sink-float separation. However, HDPE has a similar specific density to PP, which means the sink-float separation cannot be used. In this case, Near Infrared Radiation (NIR) techniques can be used, unless the plastic is too dark and absorbs the infrared waves. HDPE scrap is then shredded and melted down to further refine the polymer. The plastic is then cooled into pellets which can be used in manufacturing. Recycling plants can also benefit from the use of a baler, which can compress the post-consumer waste to minimise energy used in transport. Small steps at home can also be taken to recycle HDPE scrap. With regards to milk bottles, these can easily be reused if washed out thoroughly first. To reduce packaging waste, buying plastic bottles in bulk is another good option. Equally, carrier bags can also be reused when going shopping. Many large supermarkets also offer collection points for used carrier bags to be recycled. Some plastic films contain a message to recycle these with carrier bags at the supermarket and not to leave ‘kerbside’. 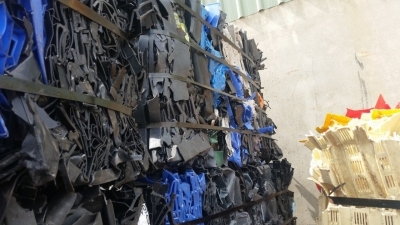 Recycling of HDPE scrap is aided by the resin code on the product, which is an indiscriminate number assigned to different plastic polymers to help separate plastics at the recycling stage. The resin identification code for high-density polyethylene is ‘2’. 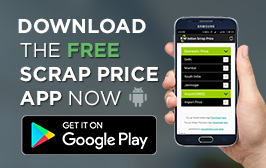 The worldwide market for HDPE scrap is huge, with a market volume of around 30million tons per year. The amount of plastic used in plastic bags has reduced by around 70% in the last 20 years thanks to the introduction of reusable canvas bags and using biodegradable materials, but the majority of bags are still produced from HDPE. HDPE scrap is non-biodegradable and can take centuries to decompose, so it is imperative that these bags and containers are recycled and used again. Recycling HDPE scrap has many benefits. For example, it is more cost efficient to produce a product from recycled HDPE scrap than it is to manufacture ‘virgin’ plastic. HDPE, like many plastic polymers, is produced using considerable amounts of fossil fuels and it takes a total of 1.75kg of oil to manufacture just 1kg of HDPE. Many new products can be manufactured using recycled HDPE, including: Rope, Toys, Piping, Recycling bins & Trash cans. As per my study of the present market, there is a growing market for HDPE containers in China and India due to increased standards of living, as well as a higher demand for HDPE pipes and cables due to rapidly growing industries. Today HDPE plastic recycling industry is in a growth mode with supply and demand increasing at 4.5–5.5% at least till 2020. Demand will continue to be dominated by Asia, primarily China. Northeast Asia alone is estimated to account for 31% of the total global consumption.